Sustainable Tourism is one of the nation’s fastest growing industries. Its practices help to ensure that travel for outdoor recreation is a positive experience for tourists and local communities. In that regard, California State Parks is working to develop responsible new programs that are based on the “three pillars” of Sustainable Tourism: being economically feasible, environmentally sound and socially/culturally equitable. to enhance Silver Strand State Beach, located next to their world class resort. The economic impact of our California State Park System is well documented. A recent survey California State University, Sacramento found that State Park visitors spend an average of $4.32 billion per year in park-related expenditures. An average park visit generates $57.63, including $24.63 inside state parks and nearby communities, with $33 in communities more than 25 miles from the park being visited. The survey further indicated, of the visitors surveyed, that 11.95 percent were non-residents of California, and their average spending per person was $184.91. That is $1.66 billion dollars in tourism revenue generated by non-residents of California. Key among our challenges for the future is the use of sustainability to generate critically needed operational revenue, while still working on reducing impact on our natural and cultural resources. The California State Parks' Patron Program is one way. Our Park Patron Program is a vehicle for “point of sale fundraising” that offers businesses a no-cost opportunity to support their local park or park region, and thereby enhances their image in the community. A point of sale fundraising program collects voluntary donations from patrons of hotels, restaurants, or other service providers. Donations can be used for projects in state parks such as increased staffing in visitor centers, resource protection projects, or other programs that would not otherwise be financially feasible. Participating businesses will work with park managers to determine the use of collected funds to achieve mutually agreeable goals. Participating businesses are recognized at the park, on-line, in print materials and in press releases. 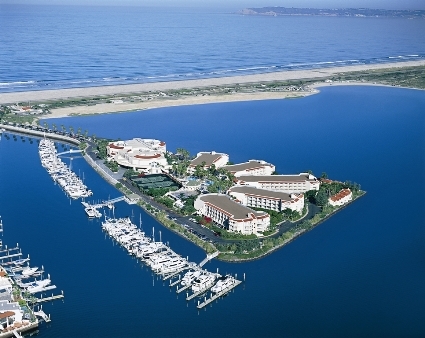 One successful Park Patron Program that provides services to increase community awareness of sustainability is with the Loews Coronado Bay Resort, in San Diego, California. Loews Coronado helps preserve and maintain the very popular Silver Strand State Beach. Donations are collected from hotel guests to enhance the State Beach, because coastal areas are often the first environments to experience the detrimental impacts of tourism. Guests also can take part in the Loews Resort’s Volunteer Vacation package, where they stay overnight, tour Silver Strand with a State Park Environmental Educator and participate in a hands-on restoration project or coastal beach clean-up, with the overall goal of learning more about preserving and protecting natural resources and giving back to the local environment. In today's popular culture, the coast is still the number one planned family vacation destination in the United States. Although tourism contributes to economic development, it can create additional burdens on our environment, which affects businesses, residents, and lifestyle. A Sustainable Tourism approach provides visitors with key information on how they can reduce their impact. This type of tourism encourages travelers to engage in activities such as: informing themselves of communities visited; anticipating and respecting regional issues and practices; supporting businesses which conserve natural and cultural heritage; supporting local economies; and conserving resources by seeking out businesses that are environmentally conscious. Another State Park Patron based tourism program is based in Mendocino, California. California State Parks teamed up with the hotels and inns of the town of Mendocino for a Park Patron Program to raise money to restore the Mendocino Headlands State Park. Working in partnership with the Mendocino Area Parks Association (MAPA), this fundraising effort allows guests of the inns and hotels of Mendocino to make a contribution to MAPA, a nonprofit organization, equal to a small percentage of their nightly room rate. Funds raised in this program are being used for a wide variety of park restoration and maintenance needs. MAPA also provides travelers with information on the principles of sustainable tourism. Mendocino Headlands State Park surrounds the historic town of Mendocino. Saved from development by community activists in the 1970s, the open ocean views and access to trails along the Headlands are crucial to the unique Mendocino visitor experience. In addition, the Ford House, built in 1854 by the founder of the town, serves as the town’s visitor center, offering referrals for lodging, restaurants, and activities in the town and throughout the Mendocino coast. Visitors to Mendocino love these special places, however the wear and tear is taking its toll on the Ford House and the landscape. Through a Sustainable Tourism approach, the Mendocino program measures success with only with the numbers of visitors, but the length of stay, where tourist dollars are spent and the quality of the experience. The goal of State Parks is to continue to work with visitors, residents, and local businesses at each of our park units to protect and preserve our priceless cultural and natural resources. For more information on Sustainable Tourism in State Parks or to custom design a sponsorship, please call 916-651-6700.